Today I’ll be reviewing my Fjallraven Kanken mini backpack. I bought this online and was a bit hesitant to purchase it because of the price point. I paid $115 AUD for this mini backpack. The reason why I decided to go ahead and splurge on it is because I wanted a high quality, staple backpack that would last me a long time. I read a few reviews online to help get a better idea of the backpack and whether it was worth it or not. If you’d like to hear my thoughts then please keep reading. Like I said earlier, I did purchase it online so the first thing that surprised me was how the material felt. For some reason I was expecting a soft, canvas like material but it’s actually quite ‘crunchy’ and not soft at all. To be honest, I’m not a fan of how the material feels but it is meant to be a sturdy piece of material and does claim to be waterproof too so hopefully I’ll get used to it. I have also realised that because of the material, the backpack gets these white scuff marks on it quite easily which is super frustrating and also has crumples on the bag from when it was stored poorly at the warehouse. I’m unsure of whether these will fade and it is quite bothersome. Another thing I noticed and don’t really like is that the backpack straps are quite short. Personally I like to have my backpack quite low on my back and with how short the straps are on this backpack I can’t do that. I do love the look of the backpack and the design. The size is quite good, although I’d prefer it to be a tad bigger for the price point. It would be great if they came out with a medium size (at the moment they only have a mini and an original size which is humongous). I really enjoy how you can zip down the large pocket all the way so it makes it easy to put things in and get things out such as books which would otherwise be more annoying to store. I was also pleasantly surprised with how spacious the backpack is inside despite its mini size. I am able to fit my ipad in it without any problems, to give you an idea of the size. It has a mini separator in the bag where you can put books or an ipad if you please which is quite nice although I do wish that it had a mini zip pocket somewhere in there. The front compartment is quite small as well, there’s enough room for your keys, a bottle of hand sanitiser and maybe a lipstick. So overall, do I think this backpack is worth it? Probably not. I think that if the backpack price point was a bit lower such as $60 it would be. I do know that in Australia the backpack is ridiculously priced compared to other countries though so if you’re lucky you may be able to get it at a better price. 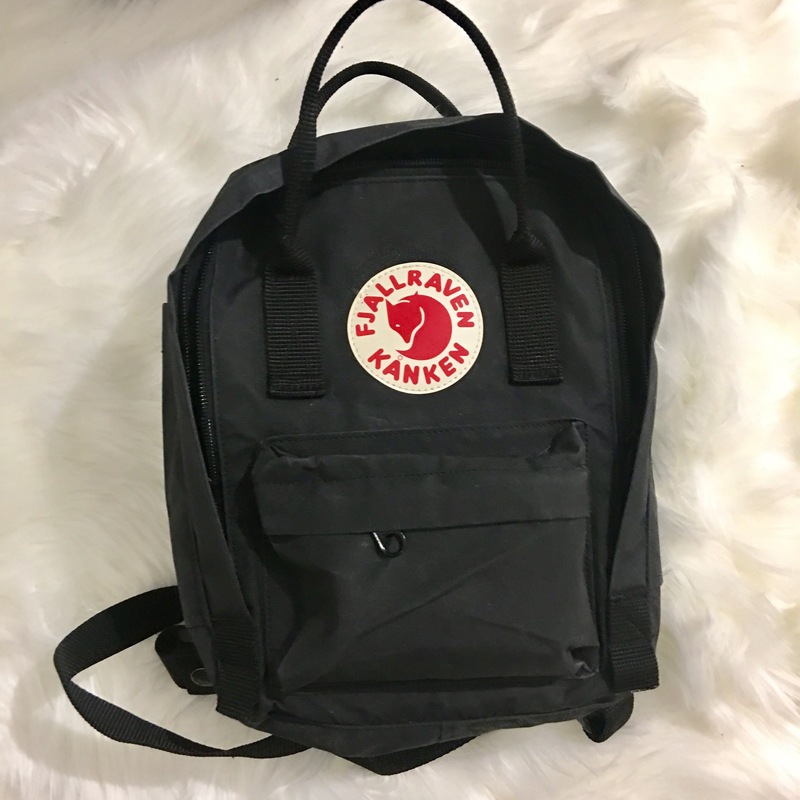 Hope you guys enjoyed my in depth review of the Fjallraven Kanken Mini Backpack and found it useful. These are just so trendy at the moment – it almost doesn’t matter the material quality or construction, people will pay the money for the look / brand!